The RSA500 family of rugged, battery-powered USB-based spectrum analyzers now includes the RSA513A and RSA518A offering 13-GHz and 18-GHz frequency range respectively. Along with their higher frequency support, these instruments provide the ability to stream I & Q data for customers to perform analysis consistent with software-defined radio functionality. Delivering performance and functionality equal to laboratory instruments, the RSA500 spectrum analyzer’s small form factor and rugged packaging enable their use for a far wider range of applications. Use cases range from spectrum management applications such as Ku band radar and 5G LTE base station testing to military applications such as like RADHAZ and EMCON monitoring. In today’s crowded RF environment, spectrum analyzer users increasingly need to measure wider bandwidth signals, at higher frequencies, for gapless capture of RF signals. With their unique ability to stream I & Q data out of the instrument, RSA500 analyzers enable both capture and playback of wideband signals for further analysis offline – a largely unmet need in the market, according to HawkEye 360, a developer of satellite-based precision geoanalytic products. “Many portable spectrum analyzers are well suited for spectral scanning but not as useful for recording since the real-time bandwidth is quite limited. The new Tektronix RSA518A is ideal for both scanning and recording and is a much better value for RF survey deployments,” said Chris Gregory, Director of Processing for HawkEye 360. 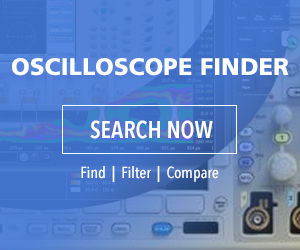 The RSA500 series leads the industry with 40 MHz of gapless real-time bandwidth, 4X more than other instruments in the category, saving users time when searching for interference and providing more insight during analysis using SignalVu-PC. Available for order now with delivery in 30 days, the RSA513A is priced from $16,500 and the RSA518A is priced from $19,500.